← Swedish Fish, a most happy candy! This month is dedicated to happiness. Check out my friend Amy’s blog for the happiness challenge. 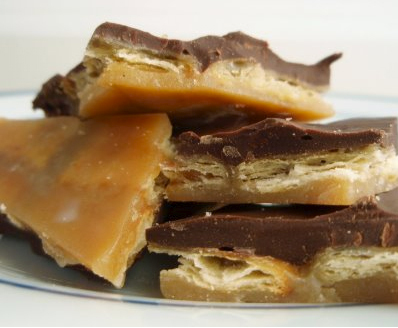 Ok, this recipe for Saltine Toffee is so easy, and so good! You may not be able to buy happiness, but you sure as heck can bake it! The blog where the recipe came from is really fun and pretty. That is all…..